Have you ever has one of those days? The ones that are few and far between but they come. The days when you are dealing with the play by play of the heated conversation that you had with someone who you truly love so much. The track playing in your mind of things you wish you would have said and things you wish you would not have said. You are asking yourself why did I do that or why did I say that or how could they say that to me? In these times I have to turn back to my favorite person in the Bible, King David. I turn to wondering what King David did when he realized that he made a huge mistake. What did he do when he thought he had blown everything. Everything that he had been living his life for up to that point? He turned to his sovereign God. He blamed no one and nothing except himself. He asked forgiveness of his sin and ask God to wash him clean. David desperately turned to God in prayer. Even after the grievous sins he did, it is written that he was a man after God’s own heart. What did God do? God assures David that he is forgiven. He assures David that he will still achieve great things through him. Isn’t that what we all want to hear? When we have totally made a mess of things. We want to hear there is hope. There is a future. I want to hear God say that he has not abandoned me that he has not given up on me even when I have blown it. Even on the days when I have given up on myself. As human beings there is one thing we all can agree on and that is not one of us are perfect. We will never achieve perfection until we reach Heaven. We have all blown it and hurt or said foolish things to people that we love. What do we do when that happens? We need to do what we do when we approach our Sovereign Father when we make a mess of things. We earnestly ask forgiveness. We repent which means we turn around. We change directions from the path we were going. When we have “messed up”, our HOPE of restoration with God is not based on how good we have been . Let’s pause and thank GOD for that for Lord knows we have all not been good on occasion. Can I get an AMEN ? Our HOPE is not built on future promises of how good we will be. Our HOPE is built on God alone. We build our HOPE on the faithfulness of God. He is our foundation . He will be faithful to His promise, for faithfulness is an essential part of His very nature. The only thing we can do when these days happen is get up off the ground, dust ourselves off and keep on going. Yes, we might have taken two steps forward and three steps back but we are only deemed failures if we don’t get back up. We get back on track. We strive to do better. We earnestly ask God to forgive us and ask for His strength to not continue down the destructive path we were heading. 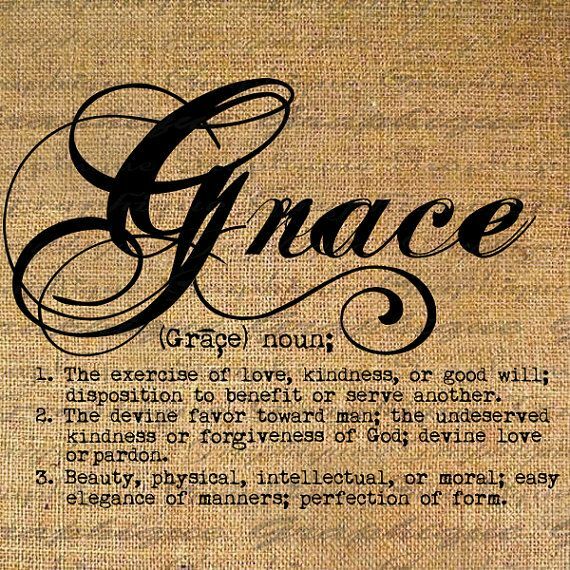 God’s grace is truly amazing. How he loves us. How he forgives us. His enduring patience no one can fathom. I am so thankful for His mercy in not giving me what I do deserve. Thankful for His amazing grace for giving me what I truly do not deserve. This is the reason I do what I do. Why I tell people about HIM. Why I write about HIM. Because … Even on the days that I have given up on myself or having a hard time picking myself up off the ground from the blow I was dealt, HE NEVER… never gives up on me. ~ God is FAITHFUL. This entry was posted in Christian Inspiration, Encouragment, Faith, Forgiveness, Mercy and tagged Faithfulness, Forgivness, Grace, Mercy. Bookmark the permalink. Darla, I couldn’t have opened my computer and read this at a more perfect time. I’m having one of those days right this very moment. Thank you so much!!!!!!!!!! I love GOD and will stay faithful to Him!!!!!! Love you too!!!!! Girl, Take comfort in you are not alone ~ I write in good times and bad. It gets it out of my head. Take heart, we ALL have days like this. I love you too and thank you so much for letting me know that I am not alone.